NEW YORK, NY--(Marketwired - Apr 8, 2015) - Maybach Music Group/Atlantic Records artist Wale has made a stellar chart debut with his highly anticipated new album. "THE ALBUM ABOUT NOTHING," which includes the new single, "The Matrimony (Feat. Usher)," makes an overall impressive debut this week at #1 on both Billboard "Top 200 Albums" & "Top Current Albums" charts. What's more, the acclaimed collection also sits atop Billboard's "Top R&B/Hip-Hop Albums," "Current Rap Albums." 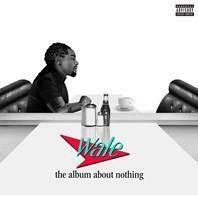 This marks the second consecutive chart-topping album for Wale. "The Album About Nothing' Is Wale's Most Personal & Best Work"
"Wale Finds New Meaning in Old Material on 'The Album About Nothing'"
"Wale Puts Out His Most Personal Project to Date With 'The Album About Nothing'"
Wale celebrated the long anticipated arrival of "THE ALBUM ABOUT NOTHING" with a wide range of appearances and live events. Highlights included a spectacular performance of the album's "The Girls On Drugs" on NBC's The Tonight Show Starring Jimmy Fallon (streaming now at www.nbc.com/the-tonight-show/segments/116911) and a free pop-up concert at New York City's famed S.O.B.'s. The latter event - which included surprise appearances by frequent collaborator J. Cole, as well as his MMG label mate Meek Mill -- was met by lines of eager fans surrounding the legendary venue within minutes of Wale's surprise announcement via Twitter. Adding to his list of appearances, Wale sat for an intimate interview with Larry King and opened up about his relationship with Jerry Seinfeld, Rick Ross, depression and more http://www.ora.tv/larrykingnow/wale-0_1t7hcwwmo7fj. As if that wasn't enough, Wale also headlined an intimate show for select fans at NYC's iHeart Radio Theatre, presented by P.C. Richard & Son and streamed across all of iHeart Media's Urban and Rhythmic radio websites. Clips of Wale's spectacular performance, along with other video-on-demand content, are streaming now at http://www.power1051fm.com/features/iheartradio-live-9/articles/15/489531/watch-wale-performs-at-his-iheartradio-13441918/. Closing out what was an already incredible week, Wale returned to his hometown of Washington, D.C. to perform as part of the "We DC" celebration. "We DC" is a compilation of D.C.-based artists, tech and business leaders, and residents who influence the world through innovative thinking, design, processes, building, education, and culture. In collaboration with D.C. Events & H Street, a pop up concert transpired bringing out over 2.2 thousand eager fans. Wale's set lasted about 90 minutes, including songs from the new album, his past projects and some of DC's gogo favorites. A recap of the event is available online now https://youtu.be/z5b_sqFeY2E. Hailed by Entertainment Weekly as "a pretty spectacular hip-hop ballad," "The Matrimony (feat. Usher)" premiered last month via a blockbuster partnership with iHeart Media that saw the song played on all iHeart media Urban Mainstream stations and their websites, every hour on the hour. Rave reviews followed, with Billboard applauding "The Matrimony (Feat. Usher)" as "a gem for the ladies." "The Matrimony (feat. Usher)" is streaming now at https://youtu.be/A0PUGSh0GUU; a companion video is now in production with a premiere date to be announced soon. "THE ALBUM ABOUT NOTHING" also includes the powerful track, "The White Shoes," now accompanied by an equally potent companion video. The clip -- directed by Walu premiered exclusively at REVOLT.tv and is streaming now at Wale's official YouTube channel, https://youtu.be/FMdgPJSlAQ4. In addition, "THE ALBUM ABOUT NOTHING" features the recent hit single, "The Body (Feat. Jeremih)," which peaked at #2 on Mediabase's Urban chart. That song's companion video clip now has over 4 million individual page views at http://youtu.be/zQMMI8itli8. Grammy-nominated rapper Wale is one of the most idiosyncratic talents in hip-hop. The Washington, D.C. native began unleashing his distinct mixtapes in 2005, with his debut album, "ATTENTION DEFECIT," arriving in 2009. After signing with Rick Ross' Maybach Music Group imprint in 2011, he released his breakthrough sophomore album, "AMBITION" -- which spawned the Grammy-nominated hit single "Lotus Flower Bomb (feat. Miguel)" -- followed by 2013's "THE GIFTED," which debuted atop Billboard's "Top 200 Albums" chart. Wale released his highly-anticipated fourth studio album, "THE ALBUM ABOUT NOTHING," on March 31, 2015, which is his most eclectic, entertaining and personal album to date, and features the hit single "The Matrimony (feat. Usher)." 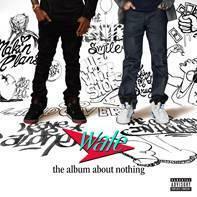 The album sees Wale continuing his famed "About Nothing" mixtape trilogy, inspired by his favorite TV show, Seinfeld -- a relationship that has since blossomed into a real life friendship between Wale and Jerry Seinfeld himself. The legendary comedian is prominently featured on "THE ALBUM ABOUT NOTHING," serving as the album's conscience, according to Wale. In addition to being one of the most prominent figures in music today, Wale has become a thriving entrepreneur. He serves as the CEO of hat & accessory line, WRKNG TITLE, as well as also recently being named creative ambassador for the Washington Wizards. For more information on Wale, visit www.walemusic.com, www.facebook.com/waleofficial, https://twitter.com/Wale, www.youtube.com/user/walemusic, & http://instagram.com/wale. 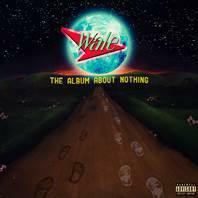 For press materials, log on to http://press.atlanticrecords.com/wale.